At last the nearly 600 Tibetan exile leaders who have been meeting in the Northern India hill town of Dharamsala this week to debate a potential new approach to Tibet’s struggle for freedom have voted to continue to follow the Dalai Lama’s “Middle Way” strategy. This was generally considered the most likely—and reasonable, in my opinion—outcome of the gathering, but there has been a small minority who called for Tibetan independence instead of the “genuine autonomy” which His Holiness has been seeking for decades. 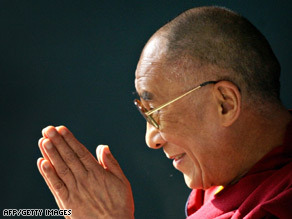 “The majority of the people have spoken and have requested his holiness the Dalai Lama to continue with his Middle Way approach,” said spokesman Tenzin Taklha, according to whom “the Tibetans demonstrated that the Dalai Lama was their undisputed leader.” The Tibetan parliament, which convenes in March, must approve the agreements reached in the meeting, said former prime minister of Tibet’s government-in-exile Tenzin Tethong. Yet, in the face of that “moderate” outcome Chinese authorities and government will likely remain deaf. “The Dalai Lama’s so-called ‘middle way’ is a naked expression of ‘Tibet independence’ aimed at nakedly spreading the despicable plot of opposing the tide of history,” said last Friday an editorial in the official Tibet Daily newspaper. That is why the delegates also recommended that Tibetan leaders stop sending delegates to meet with Chinese officials “until we are convinced China is serious about negotiating and so far China is not serious,” as a participant at the meeting refers. Which means, to speak the way the ancient Romans used to, it will take place the day of the Greek calendae—and let's keep in mind the Greek calendar did not have calendae! So, if everyone knows that China is not serious about negotiating, it's difficult to consider the negotiation the "most reasonable" strategy. Don't you believe? Unless we don't think that the one way Tibetans can follow is more humiliation. I think exiled Tibetans have just postponed a decision about changing course. By now, they've missed an opportunity to fix the problems. But the reality is that the "Middle Way" has led to nowhere. Contradictions will probably emerge in the near future. You are definitely right, Enzo, there is a contradiction in saying that China is not serious about negotiating and, at the same time, that the “Middle Way” is the most reasonable approach. I don’t deny it, nor will I argue that we are dealing with an apparent contradiction.